We believe it is vitally important for our students to be able to take the theories and methods that they learn in class and apply them to real-world challenges. In addition to the two-semester Senior Design course, ECE students participate in a variety of enrichment programs that give them the opportunity to conduct hands-on research, experience team dynamics, employ critical thinking, and create working prototypes. In some cases, these student projects turn into viable products and services that can be commercialized. Below are some examples of undergraduate student research projects. 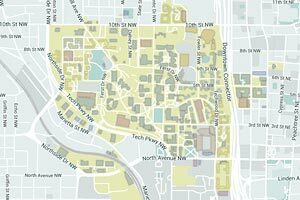 Visit the Georgia Tech Capstone Expo website to learn more about the largest student design expo in the country. CPR+ is an interactive CPR mask that allows an untrained bystander to perform CPR by collecting vitals and dynamically walking the user through each step of the process. You hear the instructions from the device and it can also tell you if you are performing CPR incorrectly. 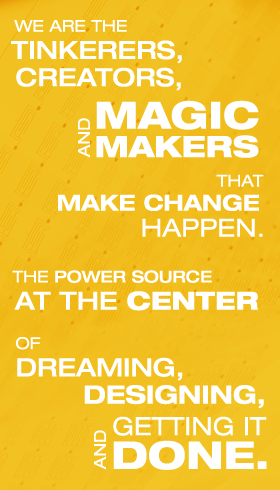 Inventors: Samuel Clarke, a mechanical engineering and computer science major from Indianapolis; David Ehrlich, a computer engineering major from Portland, Oregon; and Ryan Williams, a computer engineering major from Las Vegas. 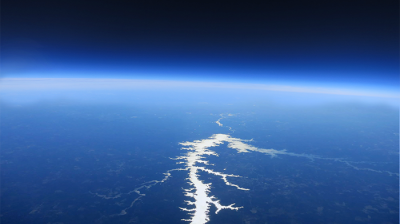 The Lightning from the Edge of Space project is part of the The Vertically Integrated Projects (VIP) Program, which unites undergraduate education and faculty research in a team-based context. 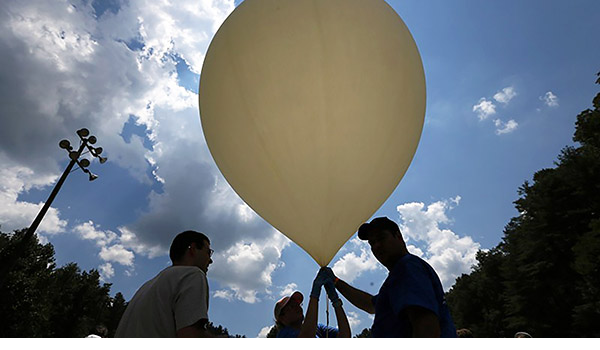 The Lightning from the Edge of Space team launches balloons loaded with electronics, cameras, communications equipment, and sensors, to the edge of space (100,000 ft) to not only capture incredible views, but to gather valuable scientific data about thunderstorms (electric field, x-rays, optical measurements). Learn more about the Lightning from the Edge of Space VIP team. 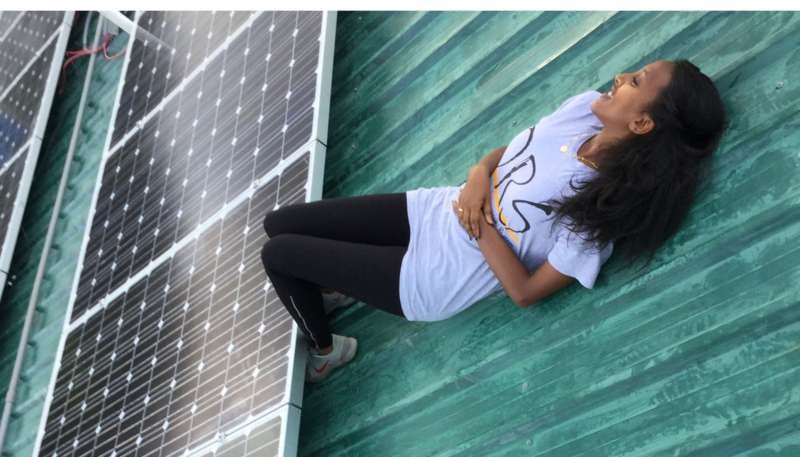 The May 2016, the Georgia Tech Student Chapter of the IEEE Power & Energy Society (PES) traveled to Thoman, Haiti to install a solar-powered micro grid system in the village’s health center, which now provides 24/7 power and replaces a costly diesel generator. Frank Lambert, principal research engineer in the School of Electrical and Computer Engineering (ECE) at Georgia Tech, led the group and also extended an opportunity to a smaller undergraduate research team from ECE’s Opportunity Research Scholars (ORS) Program. The was working on a prototype for a smaller solar-powered system that would provide LED light and phone charging for single family houses. The students couldn’t believe they would have the chance to actually install their system and see it work. For some, it was the first time they had traveled outside the United States. 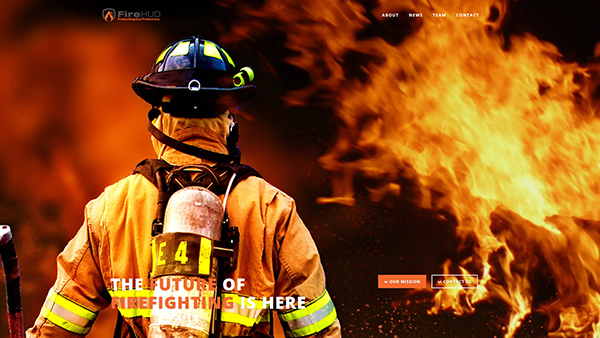 FireHUD is a real time monitoring system and Head Up Display (HUD) that displays biometric and environmental data to firefighters and outside officials. 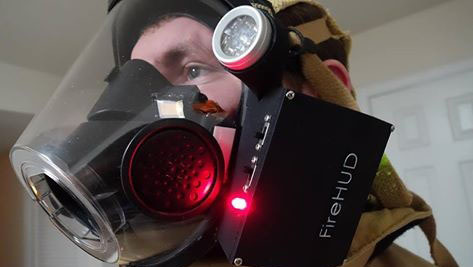 A heads-up-display attaches to a firefighter's mask and measures heart rate, respiratory rate, blood oxygen level, body temperature, external temperature and other vital signs. This information will help firefighters determine whether they are overexerting themselves and are at risk for cardiac arrest. 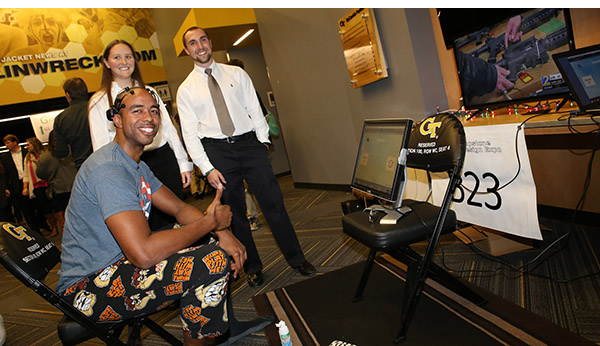 Invented by Zachary Braun, a computer engineering major, and Tyler Sisk, an electrical engineering major, the device was fine-tuned in the CREATE-X Idea to Prototype class. 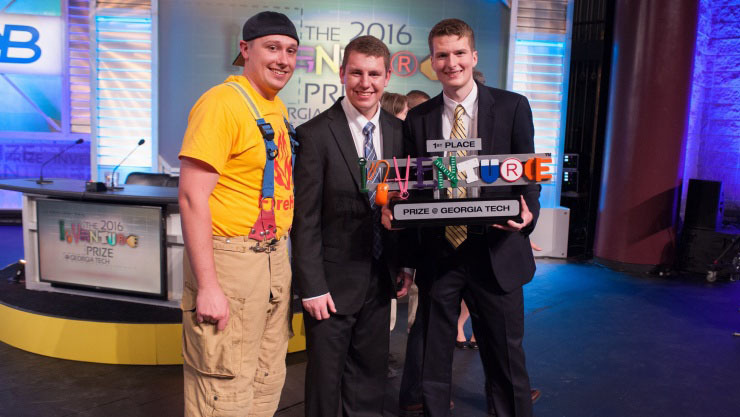 The invention won first place in the Georgia Tech InVenture Prize, which rewards students with cash prizes and free patent filings for inventions that aim to solve societal problems. 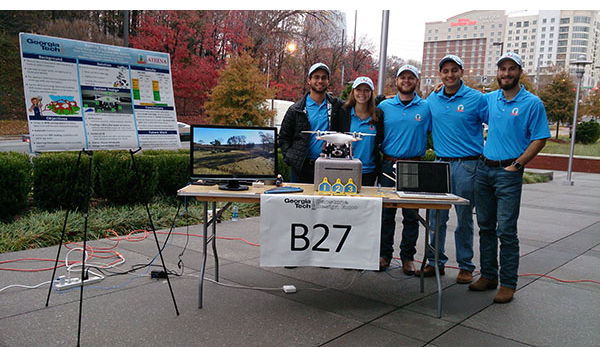 The "Raising the Steaks" Senior Design team created a long-range Radio-Frequency Identification (RFID) system for use in the cattle industry. Sponsored by CattleTime, a cattle recordkeeping software company, the team was tasked with improving the read range and capabilities of the RFID technology in order to reduce the day to day labor of counting cattle in various herds.